Hello and Happy Hump Day! I'm back today with another card for the Paper Craft Crew Design Team. 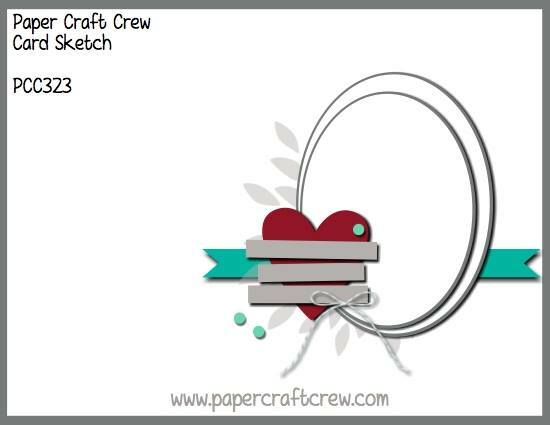 Check out this week's sketch.. I used the sketch this week more as Inspiration than anything. 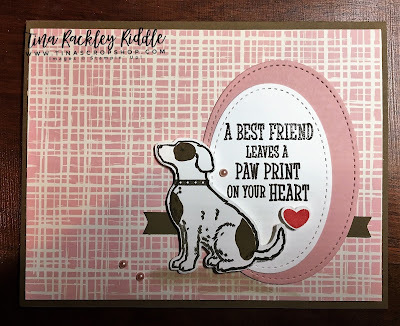 I really wanted to use my new Happy Tails Stamp Bundle from Stampin' Up!. I adore this stamp set and punch! I'm also on a mission to use retired DSP and scraps of cardstock. So this design really worked out well for that. I really threw this card together really quickly but I still think it is super cute! I'll be using this one more so be on the look out for it!